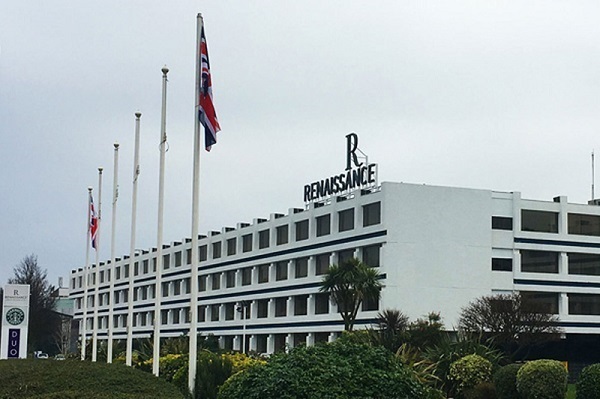 The Renaissance London Heathrow Hotel has a special place in the history not only of the airport it serves but also of its owning company, the Arora Group. In the former case, thanks to its commanding position between the Bath Road and Heathrow’s northern perimeter road, it has been said you would need to be sleeping in one of the aircraft to be any closer to the runway. For the latter, it is the hotel where Arora founder and chief executive Surinder Arora before his ascent to business fame worked in the mid-1970s as a part-time banqueting waiter. He has described this as a way to supplement his income so he could finance flying lessons. The hotel had a different name then but the Arora Group, after acquiring it in October 2012 from Hotel Property Investors, entered an agreement for Marriott International to continue to operate it within the Renaissance brand. The property was built in 1973 (with architecture to match) as one of the first large hotels at the airport and quickly became recognised as one of the leaders. The continued combination of Arora and Marriott has seen it continue along the same path, reinforced in 2016 by the completion of an impressive £20m refurbishment. In true Arora style, the new-look property was officially opened by Prince Andrew (BTN 8 February 2016). The makeover encompassed all areas of the hotel including upgrading its 3,000sq m conference and events space, reconfiguring public areas to introduce a new food and drink outlet, the Market Garden Restaurant, a new bar, Bar Eleven, and a lobby lounge. The project also added new guestrooms and suites to bring the total count to 710, of which 97 are marketed as "runway view". The large number of rooms was complemented by the new equally-spacious lobby, which appropriately now bears an uncanny resemblance to an ultra-modern airport terminal. For business users, there are 16 event rooms, the largest of which is the pillar-free Westminster Suite which can accommodate 450, plus comprehensive planning and catering services, a full-service business centre and 700 onsite car parking spaces. The whole operation is under the control of general manager Ryan Nicholls, who was appointed in December 2016 from his previous role as projects and hotel manager at the Sofitel London Heathrow T5, also part of the Arora collection. Previously, he was heavily involved in the pre-opening phase of the group’s landmark hotel, InterContinental London – The O2. With a mid-morning long-haul flight on Cathay Pacific looming, it was an easy decision to avoid the hassle of getting to the airport on time by staying at Heathrow the night before. The Arora Group had previously invited BTN to sample the new-look Renaissance and the icing on the cake for an aviation enthusiast like me was to be allocated Room 3210, one of those runway-view settings, with the airport’s evening comings and goings in plain sight through the window. Like all windows in the hotel, this one is triple-glazed but be warned – despite claims to the contrary, you can hear the aircraft. Or at least I could, from that particular room; I can't speak for the other 96. I had no problem with it; the noise is indeed considerably muted anyway and ceases altogether when Heathrow’s night curfew kicks in, but if you’re not a fan, request another room. Greeted and escorted to 3210 by guest relations manager Elena Gabriele, I found a bottle of Berri Estates unoaked Chardonnay from south-eastern Australia awaiting, plus a plate of petits-fours. The living space, adjoining bedroom and bathroom were all spacious, modern and sparkling, with the promised aircraft activity in full swing on the runway just a few yards distant. Espa bergamot, jasmine and cedarwood toiletries in the bathroom included soap (or cleansing bar as it was called), shampoo, conditioner, body wash and body lotion, plus a small bottle of Whispermint mouthwash. In short, an executive welcome. The clearly-popular Executive Lounge on the same floor featured a white Castelbello Catarrat, properly chilled; a Cabernet for red wine lovers, and a choice of beers. Guests were offered a range of ample snacks including chicken and mushroom terrine, smoked salmon with Keta caviar, mini lamb samosa with mint raita and vegetable dim sum with hot Sriracha sauce (although the sauce's name was misspelled on the menu). Cheeses available included brie and Oxford blue, served with celery and grapes, while the dessert corner featured cheesecake and a rich-looking chocolate creation. Soft drinks, tea and coffee were also on hand. A taxi transfer organised by the concierge desk to take me to Terminal 3 next morning was hassle-free and cost £10. There is also an airport shuttle available at £4.50, and two local buses into the airport stop just outside the hotel. Facilities at the Renaissance are what you would expect at the four-star luxury level and in some cases a bit beyond. Each room includes free wi-fi, a choice of bath or shower, flat-screen TV, hair dryer, iron and ironing board, trouser press, tea and coffee, air conditioning, extra pillows and blankets and 24hr room service. There is also a gym with fixed and free weights, bikes and treadmills, a sauna and steam room. Accessibility features include hearing loops and lifts and eight accessible rooms with wider doors, walk-in showers, hand rails and pull cords. With the example of one quality product in mind, the ride into Heathrow also provided a reminder of the significance of the Arora Group to the airport, with one of the company’s next projects taking shape in the central area. This is a 355-room hotel linked directly to the Queen’s Terminal, the former Terminal 2. The ground-breaking ceremony for the building was held last May (BTN 5 June 2017). This new hotel forms part of Arora’s pipeline of 1,110 new hotel bedrooms currently now under development at Heathrow, including a dual-brand complex with a 300-bedroom Crowne Plaza and a 455-room Holiday Inn Express at Terminal 4. 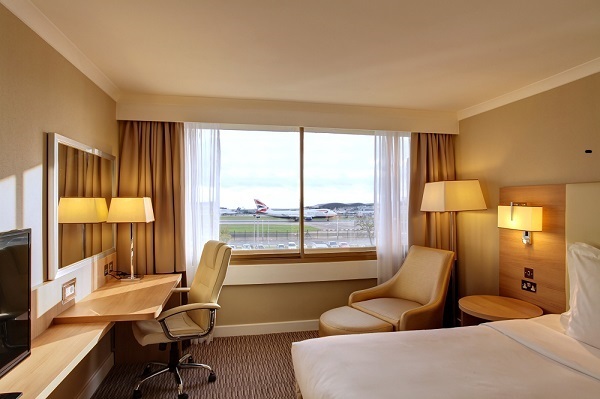 The group also has the Sofitel London Heathrow and the Holiday Inn London Heathrow, both at Terminal 5, in addition to the Renaissance. 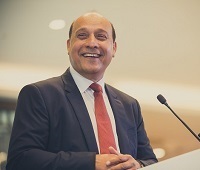 All told, Surinder Arora, the man at the top of the group, owns 16 hotels, a golf course and an airfield. His Heathrow holdings make him the largest single landowner on the site marked for the airport expansion currently under debate, and some of his projects could be affected by a third runway. Possibly with this in mind, he weighed into this arena as well last summer (BTN 10 July 2017) with his own plan in partnership with construction giant Bechtel for the development, which he says could be delivered for £12.4bn, about £5bn cheaper than Heathrow’s own initial estimate. The airport has now indicated it might be interested in working with Arora on the expansion project, although to what extent has not been specified.